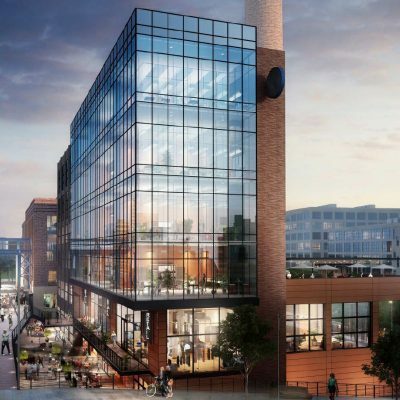 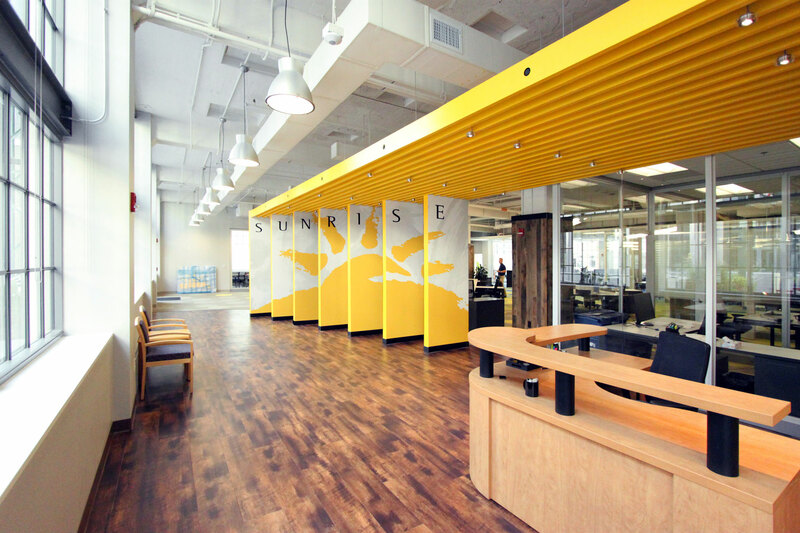 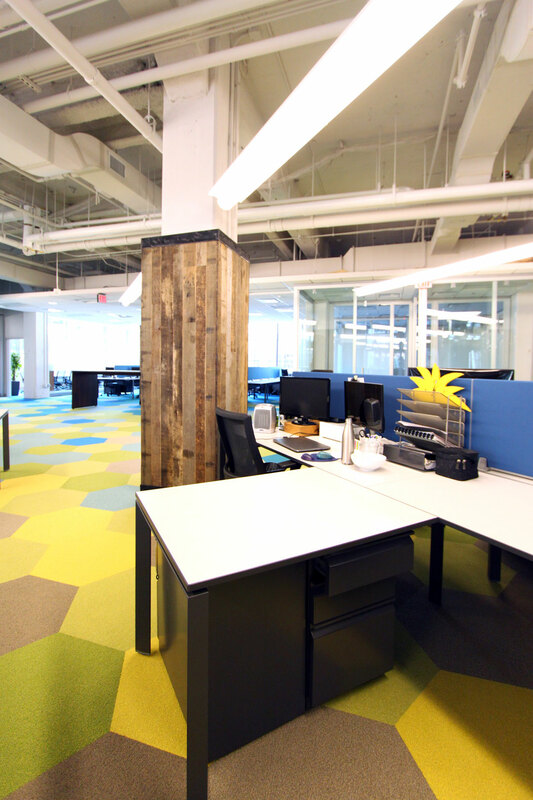 This office is located street-front in a former RJ Reynolds tobacco factory that has been redeveloped and renovated into a world-class facility in a corner of downtown Winston-Salem known as “Innovation Quarter”, which is recognized as a hub for innovation and technology. 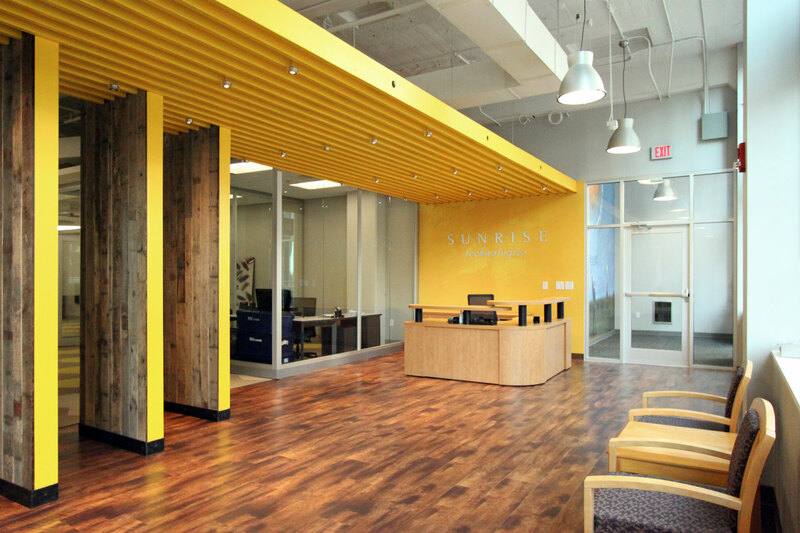 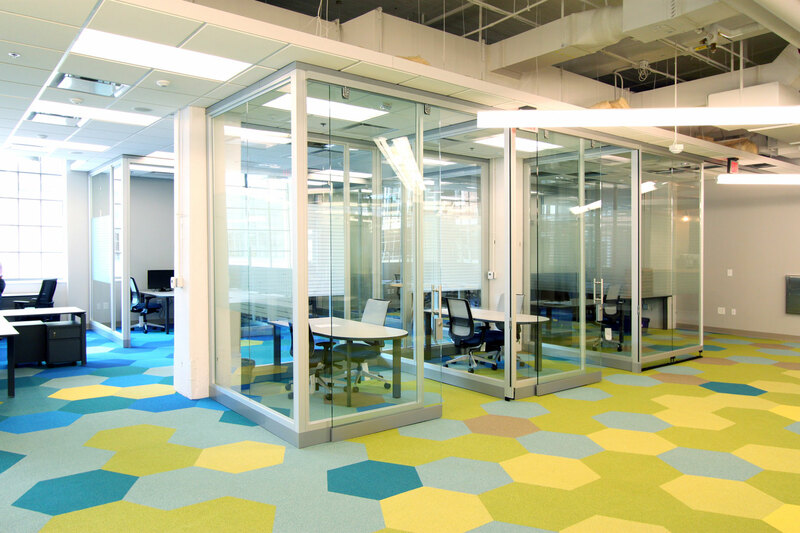 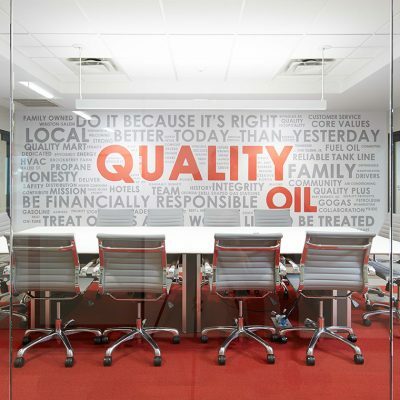 This 8,200 square foot renovation of offices, meeting space and open areas includes features such as reclaimed T&G lumber, hexagonal carpet tiles in gradient patterns, luxury vinyl tile flooring, glass walls and doors and an overhead wood entryway trellis. 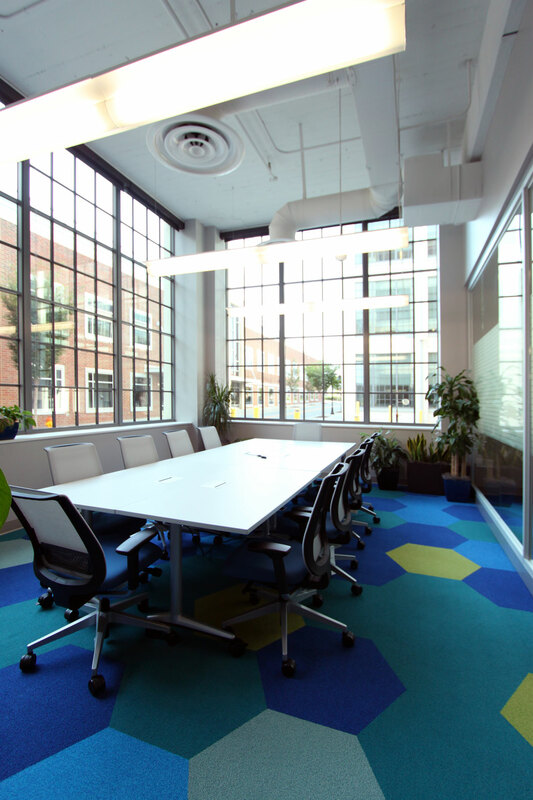 In addition, the spacious break room includes specialty light fixtures and a commercial bar / kitchenette area. 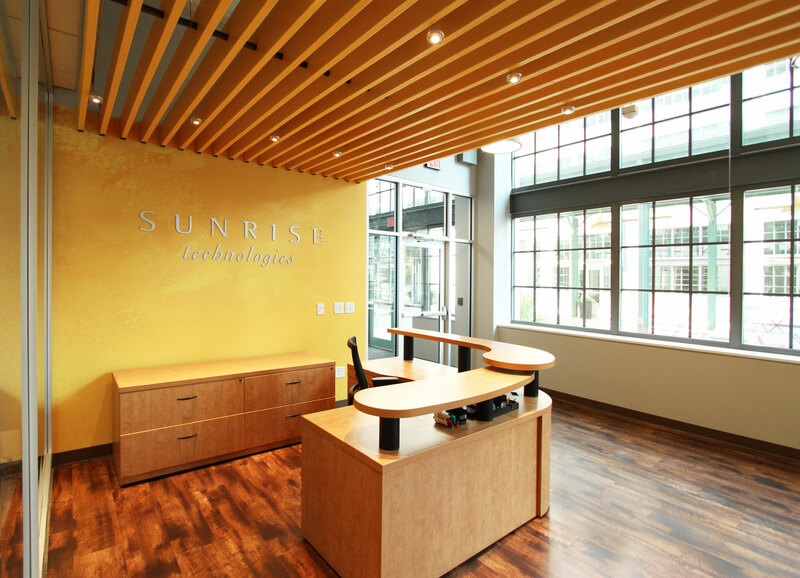 Sunrise Technologies is an award-winning provider of ERP, CRM and cloud-based intelligence solutions.